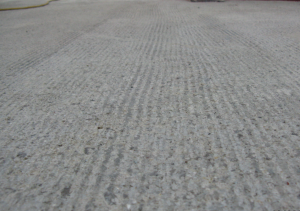 Grooves in the concrete substrate provided by quality prep allows the coatings to bond securely. MSC uses proven techniques that ensures the bond. A poorly prepared substrate increases the chances coatings will fail, peel, or break because the coating cannot effectively adhere. These defects in the coating compromise the integrity of the entire flooring solution and provide safety risks and areas of contamination. But, this can be easily avoided by simply preparing the substrate properly. At Michigan Specialty Coatings, you can benefit from top-quality concrete prep services that meet all of your flooring needs. Around the office, we like to remind ourselves of the importance of preparation. We call ourselves a “prep company that does great installs” because it reminds us that without properly prepared substrates, every floor coating system will fail. Our preparation and installation process is time-tested and has earned us the respect from our product suppliers to become their lead installers. With clients including Fortune 500 giants to back us, our preparation process allow us to guarantee our installed flooring solutions performance. You’ll be able to get some of the best achievable results from concrete preparation with the help of our flooring experts. Great floors require great equipment, which is why we only use the most dependable equipment available to complete our concrete prep services. You won’t need to worry about insufficient machinery resulting in a poorly completed preparation project with our help. Take a look at our equipment that we use to prepare and install the best quality solutions (click here). Direct traffic and keep pedestrians out of hazardous areas with our floor striping solutions.